Welcome, and thanks for using HiyaWorks.com! When you use our products and services, you're agreeing to our terms, so please take a few minutes to read over the Member Agreement below. HiyaWorks’s (hereafter referred in short as Hiya) mission is to connect the world’s creative individuals and groups (amateurs to professionals) to allow them to be more productive and successful. Our registered members (“Members”) share their professional identities, engage with their network, exchange knowledge and professional insights, post and view relevant content, and find career and casting opportunities. Content on some of our services is also visible to unregistered viewers (“Visitors”). We believe that our services allow our Members to effectively compete and achieve their full career potential at the same time have fun with friends and family. The cornerstone of our business is to focus on our Members first. You agree that by clicking “Signup for Free” “Register”, “Sign Up” or similar, registering, accessing or using our services (including Hiya, our related mobile apps, developer platforms, premium services, or any content or information provided as part of these services, collectively, “Services”), you are entering into a legally binding agreement (even if you are using our Services on behalf of a company). Your agreement is with the holding company, Crimson Angle Private Limited, a limited liability company registered in India (each, “Hiya” or “we”). Registered members of our Services are “Members” and unregistered members are “Visitors”. This Agreement applies to both. You're eligible to enter into this Agreement and you are at least our “Minimum Age.” To use the Services, you agree that: (1) you must be the “Minimum Age” (defined below) or older; (2) you will only have one Hiya account, which must be in your real name; and (3) you are not already restricted by Hiya from using the Services. You must pay us for applicable fees and taxes unless you cancel the Premium Service, in which case you agree to still pay these fees through the end of the applicable subscription period. Learn how to cancel or change your Premium Services and read about Hiya's refund policy. If the contact information you provide isn't up to date, you may miss out on these notices - You agree that we may provide notices to you in the following ways: (1) an email sent to an address you provided, or (2) through other means including mobile number, telephone, or mail. You agree to keep your contact information up to date. When you share information, others can see, copy and use that information - Our Services allow messaging and sharing of information in many ways, such as your profile, creative files, opportunities, contests, events, HiyaMails and blogs. Information and content that you share or post may be seen by other Members or, if public, by Visitors. Where we have made settings available, we will honour the choices you make about who can see content or information. Note that other activities, such as applying for a job or sending a HiyaMail, are by default private, only visible to the addressee(s). In order to access some features of Hiya, you will have to create an account. You may never use another's account without that member’s permission. When creating your account, you must provide accurate and complete information. You are solely responsible for the activity that occurs on your account, and you must keep your account password secure. You must notify Hiya immediately of any breach of security or unauthorized use of your account. Although Hiya will not be liable for your losses caused by any unauthorized use of your account, you may be liable for the losses of Hiya or others due to such unauthorized use. You agree not to use or launch any automated system, including without limitation, "robots," "spiders," "offline readers,”, "Automated voting", etc., that accesses Hiya in a manner that sends more request messages to Hiya servers in a given period of time than a human can reasonably produce in the same period by using a conventional on-line web browser. Notwithstanding the foregoing, Hiya grants the operators of public search engines permission and license to use spiders to copy materials from the site for the sole purpose of creating publicly available searchable indices of the materials, but not caches or archives of such materials. Hiya reserves the right to revoke these exceptions either generally or in specific cases. You agree not to collect or harvest any personally identifiable information, including account names, from Hiya, nor to use the communication systems provided by Hiya for any commercial solicitation purposes. You agree not to solicit, for commercial purposes, any members of Hiya with respect to their Member Submissions. All website products, contests and services are void where prohibited by law. Intellectual Property Rights - You always maintain the rights to your uploads. Hiya does not claim ownership of Content (as defined below) that you (hereinafter referred to as “Member” or “you”) submit or make available for inclusion on Hiya. Member affirms, represents and warrants that the Member owns (and/or otherwise has the right to submit) the Content submitted or made available by the member on Hiya, and such ownership is retained by Member at all times. With respect to Content you submit or make available for inclusion on publicly accessible areas and/or other areas of Hiya, you affirm, represent and warrant that you have the legal power and authority to, and do, grant to Hiya, as well as Hiya’s Partners and Sponsors (i) the right to display the Content on Hiya, (ii) the right to use the Content to promote the contest(s) or the Content (iii) the right to and (iv) the right to engage in all of the acts as set forth below, as applicable. You promise to only provide information and content that you have the right to share, and that your Hiya profile will be truthful. You agree to only provide content or information if that does not violate the law nor anyone's rights (e.g., without violating any intellectual property rights or breaching a contract). You also agree that your profile information will be truthful. Hiya may be required by law to remove certain information or content in certain countries. Member Submissions Your Creative Content May Be Selected To Receive More Exposure and Popularity! Hiya may now or in the future permit the submission of your creative content like photographs, motion pictures, videos, other audio-visual works, literary works, and/or image files and/or other communications by you and other members ("Member Submissions") and the hosting, sharing, and/or publishing of such Member Submissions. You understand that whether or not such Member Submissions are published, Hiya does not guarantee any confidentiality with respect to any submissions. You retain all rights to your work. By submitting your work here, you grant Hiya, Contest Sponsors and Partners the right to display and/or to provide exposure to your creative content and/or other works anywhere including, without limitation, when your creative content or other works are selected as winners of any contest, (i) to be displayed on Hiya’s Website, (ii) to be displayed and used in connection with marketing, promotion and/or advertising of Hiya on Hiya’s Website, any other website, in social media and/or in any other form of media including publications, periodicals, communications, still images, video and/or television. All used creative content are credited to whomever the author is as represented by the Member. Any use of the images will be solely used in the context of promoting the contests’ submissions, Hiya, and Members in Hiya’s sole discretion with no additional compensation owed to the author, member and/or any other person or entity. If you are a copyright owner or an agent thereof and believe that any Member Submission or other content infringes upon your copyrights, you may submit a notification pursuant to the Digital Millennium Copyright Act ("DMCA") by providing our Copyright Agent with the following information in writing (see 17 U.S.C 512(c)(3) for further detail): (i) A physical or electronic signature of a person authorized to act on behalf of the owner of an exclusive right that is allegedly infringed; (ii) Identification of the copyrighted work claimed to have been infringed, or, if multiple copyrighted works at a single online site are covered by a single notification, a representative list of such works at that site; (iii) Identification of the material that is claimed to be infringing or to be the subject of infringing activity and that is to be removed or access to which is to be disabled and information reasonably sufficient to permit the service provider to locate the material; (iv) Information reasonably sufficient to permit the service provider to contact you, such as an address, telephone number, and, if available, an electronic mail address; (v) A statement that you have a good faith belief that use of the material in the manner complained of is not authorized by the copyright owner, its agent, or the law; and (vi) A statement that the information in the notification is accurate, and under penalty of perjury, that you are authorized to act on behalf of the owner of an exclusive right that is allegedly infringed. You understand that when using Hiya, you will be exposed to Member Submissions from a variety of sources, and that Hiya is not responsible for the accuracy, usefulness, safety, or intellectual property rights of or relating to such Member Submissions. You further understand and acknowledge that you may be exposed to Member Submissions that are inaccurate, offensive, indecent, or objectionable. and You agree to waive, and hereby do waive, any legal or equitable rights or remedies you have or may have against Hiya with respect to Member Submissions. You agree to indemnify and hold Hiya, its Owners/Operators, affiliates, and/or licensors, harmless to the fullest extent allowed by law regarding all matters related to your Member Submissions and Content, as well as your use of Hiya. Hiya may choose to provide resident or guest judging for specific contests, themes, challenges and other activities, the decisions of the Judges are final and binding on all matters relating to the selection of winners. The Finalists and any other winners will be judged on by the Judges' in their sole discretion. Voting and People's Choice results, the submission with the most votes will be deemed the winner from among the Member Submissions. Member Submissions with the same total votes will be re-judged using the same criteria. All Member Submissions and votes will be retained until eligible winners are chosen for all prizes. Once a Member Submission or a Member is deemed ineligible, however, the Member Submission will be deleted and not further considered. When you see, or use others' content and information posted on our Services, it's at your own risk. Third parties may offer their own products and services through Hiya, and we aren't responsible for those third-party activities. By using the Services, you may encounter content or information that might be inaccurate, incomplete, delayed, misleading, illegal, offensive or otherwise harmful. Hiya generally does not review content provided by our Members. You agree that we are not responsible for third parties' (including other Members') content or information or for any damages as result of your use of or reliance on it. Content is provided to you AS IS, as provided by members. You may access Content for your information and personal use solely as intended through the provided functionality of the Service and as permitted under these Terms of Service. You shall not download any Content unless you see a “download” or similar link displayed by Hiya on the Service for that Content. You shall not copy, reproduce, make available online or electronically transmit, publish, adapt, distribute, transmit, broadcast, display, sell, license, or otherwise exploit any Content for any other purposes without the prior written consent of Hiya or the respective licensors (owners of creative content) of the Content. Hiya and its licensors reserve all rights not expressly granted in and to the Service and the Content. We have the right to limit how you connect and interact on our Services. We're providing you notice about our intellectual property rights. Hiya reserves the right to limit your use of the Services, including the number of your connections and your ability to contact other Members. Hiya reserves the right to restrict, suspend, or terminate your account if Hiya believes that you may be in breach of this Agreement or law or are misusing the Services (e.g. violating any Do and Don'ts). Hiya reserves all of its intellectual property rights in the Services. You will need to provide Hiya with a credit or debit card or Paypal account, and we will charge that card or Paypal for the subscription fees and other charges selected by you. Your subscription period will begin on the date that payment is rendered. We may terminate your subscription if we are unable to process your payment. You may request termination to a subscription at any time by sending an email to info@hiyaworks.com and providing a clear written notice of such request including your username and password. All subscription fees are non-refundable, and upon voluntary or involuntary termination, discontinuation or cancellation of a subscription for any reason, you will not receive a refund for any subscription fee previously charged or any unused portion of the subscription. The contests can either be published by Hiya members or by Hiya. The nature of the Hiya Contest will be disclosed by the contest publisher. The exact nature of prizes (in material or non-material form) or items of value (if applicable) to be potentially won by participants in each Hiya Contest will be disclosed by the contest publisher. The deadline for submissions to each specific Hiya Contest will be disclosed by the contest publisher. Hiya will keep detailed records of each Hiya Contest for at least two years. The responsibility and accountability of awarding the prize lies with the Contest publisher, and Hiya is in no way responsible for it (unless it is Hiya published contest). It is possible that a contest is running across multiple platforms including Hiya, and hence may not result in prize being given to a participating Hiya member. The amount of money, including postage and handling fees, which a participant may be asked to pay to win each of the prizes offered. The date(s) upon which the contest will terminate, and upon which all prize winners will be decided and selected. The method of selection, as well as the selection, of contest winners shall be determined by the contest publishers in its sole discretion. The Contest publisher team, deemed as resident judges/curators or any other assigned team member, can (i) select the winners of any contest, or (ii) provide a preliminary list of finalists to any guest or exterior judge/curator, or a Partner to select the winners, including the grand winner and runners up, of a specific contest, (iii) solicit votes from members of the Hiya Website and/or any members of the public and declare winners based upon the number of votes obtained, and/or (iv) determine contest winners in any manner. After judging, voting and/or any other method to select winners has finished, the potential winners will be notified in accordance with the contact information provided in their respective member submissions by mail, courier, email or other method chosen by the contest publisher, it’s Partners and/or it’s Sponsors in its their discretion. Contest publisher, any Partner, or any Sponsor reserves the right to verify winners collectively or one or more at a time, as it deems appropriate and expedient in its their discretion, and in whatever order it chooses. To be confirmed as a winner and to be awarded the prize, the winning member will be required to confirm its ownership of the copyright and any other applicable intellectual property and/or other rights to the Member Submission (“Required Confirmation”). Should a prize notification or prize addressed to a particular winning member be returned as undeliverable, Contest publisher, it’s Partner and/or it’s Sponsor will not resend the notice (whether by the same or another method), research the winning member's address nor make any further attempts at delivery. That member will be deemed to have withdrawn from the Hiya Contest and given up the member’s right to receive the prize notification or the prize. In the case that winner's member’s shipping address is located in a Country or area designated by Contest publisher, it’s Partners and/or it’s Sponsors as undeliverable, they reserve their rights to provide a cash payment sent via Paypal or other means of equal value of to the announced prize instead of the specific announced prize. Winners will be announced after the Required Confirmation is received and the respective winners are confirmed. Contest publisher, it’s Partners and/or it’s Sponsors reserves the right to announce prize winners collectively, one at a time, or in any order or clusters as it deems appropriate in their discretion. Winners will receive their prizes as per the timelines of Contest publisher, it’s Partners and/or it’s Sponsors after the announcement of the winners. The reward and prizes and/or any other rewards are subject to change at any time without notice in the sole discretion of Contest publisher, it’s Partners and/or it’s Sponsors. Hiya is not responsible or liable for any discrepancy by the Contest publisher, it’s Partners and/or it’s Sponsors. 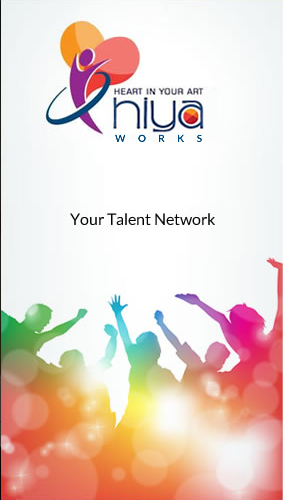 You appoint Hiya as your agent to obtain orders from purchasers for the purchase of your creative files over the website and to fulfil those orders by sharing them or sending them to production and digital delivery of your files ('appointment') and Hiya accepts the appointment and will carry it out with regard to your interests. You agree that Hiya is free to act in any capacity for any other of its members in obtaining orders from the public for the purchase of their creative files over the Hiya Website, including any file that is the same as, or similar to, your products. The appointment is valid from the date of this Agency Agreement until termination of your member account. License - For the duration of the appointment, you grant Hiya a non-exclusive, royalty free, transferable, sub-licensable license to use your copyrights and/or other intellectual property rights in your photographs and/or other products for the purpose of enabling us to carry out the agency agreement appointment. You affirm, represent and warrant to Hiya that you own all copyrights and/or other intellectual property rights and other rights in and to your creative files offered for sale and that you have the full legal right to sell such creative work (files) and/or copies thereof and/or other products offered for sale on the Hiya Website. The retail price charged to purchasers who purchase your product is made up of your offer price plus our (Hiya’s) margin. Hiya may also charge the customer handling charges and commission. You may change your desired offer price at any time for each of your creative work. We may change our margin at any time without specific notice to you and this will affect the selling value of the creative work. Hiya will notify you via the Hiya website and email when one of your creative file is sold. You authorize Hiya to collect, hold and distribute the retail price and handling fees from customers on the terms set out in this section 4. You authorize Hiya to deduct the margin price and the handling fee from the sales proceeds for your files before distributing your share. Hiya will pay to member you via PayPal or any other means, upon request by member via the Hiya Website, once a minimum margin balance of USD 20. Hiya will not be liable for any loss suffered by you if you provide us with incorrect details in relation to your PayPal account or other means of payment. If we are unable to pay you because you have given us incorrect details or your details are out of date, we will hold your offer price for up to 3 months from the payment date. Taxation responsibility - Each party is responsible and will account for any taxes imposed by governments or governing authorities, and related accounting or audit requirements arising out of, as a result of, incidental to, or in connection with obligations under these Terms of Sale. You hereby indemnify and will keep Hiya indemnified from and against all claims, debts, accounts, expenses, costs, liens, actions and proceedings of any nature whatsoever, whether known or unknown by any person, arising from, incidental to, or by virtue of, the appointment, or any breach or non-performance of your obligations under these Terms of Sale or arising out of your wilful act, neglect or default in the performance of such obligations. Your indemnification obligation includes, but is not limited to, any claim brought by any person or entity against Hiya or any of its members, managers, officers, employees, agents or affiliates alleging copyright infringement, trademark infringement and/or violation of any intellectual property rights or other rights arising from and/or related to any actions or omissions, including, but not limited to, with respect to the copying, display, use, sale or offering for sale or sale of any photographs or other products by Hiya. This clause 6 will survive the termination of these Terms of Sale. You can give notice of termination of your authorization to Hiya to sell your creative work / file by closing your Hiya account and/or stop selling your files through Hiya's Website platform. Hiya may give notice of termination to you in writing at any time. After notice of termination, you authorize Hiya to complete any transactions in progress in relation to your files, which we will do on the terms of these Terms of Sale. Termination will take effect once these transactions have been completed. Members can purchase products on the Hiya website using the PayPal system or a valid credit or debit card. The price you pay is final and not negotiable. Orders may not be cancelled after it has been submitted. It is the purchaser's responsibility to ensure the file delivery address is correct. Hiya takes no responsibility for any product a customer does not receive because of errors in the delivery address (email address or physical address, etc.) given to us. YOU AGREE THAT YOUR USE OF THE HIYA WEBSITE AND PURCHASE OF ANY GOODS AND/OR SERVICES ON THE HIYA WEBSITE SHALL BE AT YOUR SOLE RISK. TO THE FULLEST EXTENT PERMITTED BY LAW. HIYA, ITS OFFICERS, DIRECTORS, MEMBERS, MANAGERS, EMPLOYEES, AND AGENTS EXPRESSLY DISCLAIM ALL WARRANTIES, EXPRESS OR IMPLIED, IN CONNECTION WITH THE HIYA WEBSITE, THE HIYA CONTENT, AND/OR MEMBER SUBMISSIONS, AND/OR YOUR USE THEREOF. HIYA, ITS OFFICERS, DIRECTORS, MEMBERS, MANAGERS, EMPLOYEES, AND AGENTS ALSO DISCLAIM ALL WARRANTIES, EXPRESS OR IMPLIED, WITH RESPECT TO THE PURCHASE, SALE AND/OR GIFTS OF ANY GOODS OR SERVICES, INCLUDING, BUT NOT LIMITED TO, THE IMPLIED WARRANTY OF MERCHANTABILITY AND/OR THE IMPLIED WARRANTY OF FITNESS FOR A PARTICULAR PURPOSE HIYA MAKES NO WARRANTIES OR REPRESENTATIONS ABOUT THE ACCURACY OR COMPLETENESS OF THIS SITE'S HIYA’S CONTENT, MEMBER SUBMISSIONS, AND/OR THE CONTENT OF ANY SITES LINKED TO THIS SITE AND ASSUMES NO LIABILITY OR RESPONSIBILITY FOR ANY (I) ERRORS, MISTAKES, OR INACCURACIES CONTAINED THEREIN OF CONTENT, (II) PERSONAL INJURY OR PROPERTY DAMAGE, OF ANY NATURE WHATSOEVER, RESULTING FROM YOUR ACCESS TO AND USE OF OUR THE HIYA WEBSITE, THE HIYA CONTENT, AND/OR MEMBER SUBMISSIONS, (III) ANY UNAUTHORIZED ACCESS TO OR USE OF OUR HIYA’S SECURE SERVERS AND/OR ANY AND ALL PERSONAL INFORMATION AND/OR FINANCIAL INFORMATION STORED THEREIN, (IV) ANY INTERRUPTION OR CESSATION OF TRANSMISSION TO OR FROM OUR HIYA’S WEBSITE, (IV) ANY BUGS, VIRUSES, TROJAN HORSES, OR THE LIKE WHICH MAY BE TRANSMITTED TO OR THROUGH OUR THE HIYA WEBSITE BY ANY THIRD PARTY, AND/OR (V) ANY ERRORS OR OMISSIONS IN ANY HIYA CONTENT OR FOR ANY LOSS OR DAMAGE OF ANY KIND INCURRED AS A RESULT OF THE USE OF ANY HIYA CONTENT POSTED, EMAILED, TRANSMITTED, OR OTHERWISE MADE AVAILABLE VIA THE HIYA WEBSITE. HIYA DOES NOT WARRANT, ENDORSE, GUARANTEE, OR ASSUME RESPONSIBILITY FOR ANY PRODUCT OR SERVICE ADVERTISED OR OFFERED BY A THIRD PARTY THROUGH THE HIYA WEBSITE OR ANY HYPERLINKED WEBSITE OR FEATURED IN ANY BANNER OR OTHER ADVERTISING, AND HIYA WILL NOT BE A PARTY TO OR IN ANY WAY BE RESPONSIBLE FOR MONITORING ANY TRANSACTION BETWEEN YOU AND THIRD-PARTY PROVIDERS OF PRODUCTS OR SERVICES. AS WITH THE PURCHASE OF A PRODUCT OR SERVICE THROUGH ANY MEDIUM OR IN ANY ENVIRONMENT, YOU SHOULD USE YOUR BEST JUDGMENT AND EXERCISE CAUTION WHERE APPROPRIATE. TO THE EXTENT ALLOWED UNDER LAW, HIYA (AND THOSE THAT HIYA WORKS WITH TO PROVIDE THE SERVICES) (A) DISCLAIM ALL IMPLIED WARRANTIES AND REPRESENTATIONS (E.G. WARRANTIES OF MERCHANTABILITY, FITNESS FOR A PARTICULAR PURPOSE, ACCURACY OF DATA, AND NONINFRINGEMENT); (B) DO NOT GUARANTEE THAT THE SERVICES WILL FUNCTION WITHOUT INTERRUPTION OR ERRORS, AND (C) PROVIDE THE SERVICE (INCLUDING CONTENT AND INFORMATION) ON AN “AS IS” AND “AS AVAILABLE” BASIS. SOME LAWS DO NOT ALLOW CERTAIN DISCLAIMERS, SO SOME OR ALL OF THESE DISCLAIMERS MAY NOT APPLY TO YOU. IN NO EVENT SHALL HIYA, ITS OFFICERS, DIRECTORS, MEMBERS, MANAGERS, EMPLOYEES, OR AGENTS, BE LIABLE TO YOU FOR ANY DIRECT, INDIRECT, INCIDENTAL, SPECIAL, PUNITIVE, OR CONSEQUENTIAL DAMAGES WHATSOEVER RESULTING FROM ANY (I) ERRORS, MISTAKES, OR INACCURACIES OF THE HIYA CONTENT, (II) PERSONAL INJURY OR PROPERTY DAMAGE, OF ANY NATURE WHATSOEVER, RESULTING FROM YOUR ACCESS TO AND USE OF OUR THE HIYA WEBSITE, THE HIYA CONTENT, AND/OR MEMBER SUBMISSIONS, (III) THE SALE, PURCHASE AND/OR USE OF ANY GOODS OR SERVICES OBTAINED FROM HIYA AND/OR THE HIYA WEBSITE, (IV) ANY UNAUTHORIZED ACCESS TO OR USE OF OUR HIYA’S SECURE SERVERS AND/OR ANY AND ALL PERSONAL INFORMATION AND/OR FINANCIAL INFORMATION STORED THEREIN, (IV) ANY INTERRUPTION OR CESSATION OF TRANSMISSION TO OR FROM OUR HIYA’S WEBSITE, (VI) ANY BUGS, VIRUSES, TROJAN HORSES, OR THE LIKE WHICH MAY BE TRANSMITTED TO OR THROUGH OUR THE HIYA WEBSITE BY ANY THIRD PARTY, AND/OR (VII) ANY ERRORS OR OMISSIONS IN ANY HIYA CONTENT OR FOR ANY LOSS OR DAMAGE OF ANY KIND INCURRED AS A RESULT OF THE USE OF ANY HIYA CONTENT POSTED, EMAILED, TRANSMITTED, OR OTHERWISE MADE AVAILABLE VIA THE HIYA WEBSITE, WHETHER BASED ON WARRANTY, CONTRACT, TORT, OR ANY OTHER LEGAL OR EQUITABLE THEORY, AND WHETHER OR NOT THE COMPANY HIYA IS ADVISED OF THE POSSIBILITY OF SUCH DAMAGES. THE FOREGOING LIMITATION OF LIABILITY SHALL APPLY TO THE FULLEST EXTENT PERMITTED BY LAW IN THE APPLICABLE JURISDICTION. YOU SPECIFICALLY ACKNOWLEDGE THAT HIYA SHALL NOT BE LIABLE FOR MEMBER SUBMISSIONS OR THE DEFAMATORY, OFFENSIVE, OR ILLEGAL CONDUCT OF ANY THIRD PARTY AND THAT THE RISK OF HARM OR DAMAGE FROM THE FOREGOING RESTS ENTIRELY WITH YOU. THE HIYA WEBSITE IS CONTROLLED AND OFFERED BY HIYA FROM ITS FACILITIES IN THE UNITED STATES OF AMERICA. HIYA MAKES NO REPRESENTATIONS THAT THE HIYA WEBSITE IS APPROPRIATE OR AVAILABLE FOR USE IN OTHER LOCATIONS. THOSE WHO ACCESS OR USE THE HIYA WEBSITE FROM OTHER JURISDICTIONS DO SO AT THEIR OWN VOLITION AND ARE RESPONSIBLE FOR COMPLIANCE WITH LOCAL LAW. TO THE EXTENT PERMITTED UNDER LAW (AND UNLESS HIYA HAS ENTERED INTO A SEPARATE WRITTEN AGREEMENT THAT SUPERSEDES THIS AGREEMENT), HIYA (AND THOSE THAT HIYA WORKS WITH TO PROVIDE THE SERVICES) SHALL NOT BE LIABLE TO YOU OR OTHERS FOR ANY INDIRECT, INCIDENTAL, SPECIAL, CONSEQUENTIAL OR PUNITIVE DAMAGES, OR ANY LOSS OF DATA, OPPORTUNITIES, REPUTATION, PROFITS OR REVENUES, RELATED TO THE SERVICES (E.G. OFFENSIVE OR DEFAMATORY STATEMENTS, DOWN TIME OR LOSS, USE OR CHANGES TO YOUR INFORMATION OR CONTENT). IN NO EVENT SHALL THE LIABILITY OF HIYA (AND THOSE THAT HIYA WORKS WITH TO PROVIDE THE SERVICES) EXCEED, IN THE AGGREGATE FOR ALL CLAIMS, AN AMOUNT THAT IS THE LESSER OF (A) FIVE TIMES THE MOST RECENT MONTHLY OR YEARLY FEE THAT YOU PAID FOR A PREMIUM SERVICE, IF ANY, OR (B) US $500. THIS LIMITATION OF LIABILITY IS PART OF THE BASIS OF THE BARGAIN BETWEEN YOU AND HIYA AND SHALL APPLY TO ALL CLAIMS OF LIABILITY (E.G. WARRANTY, TORT, NEGLIGENCE, CONTRACT, LAW) AND EVEN IF HIYA HAS BEEN TOLD OF THE POSSIBILITY OF ANY SUCH DAMAGE, AND EVEN IF THESE REMEDIES FAIL THEIR ESSENTIAL PURPOSE. SOME LAWS DO NOT ALLOW THE LIMITATION OR EXCLUSION OF LIABILITY, SO THESE LIMITS MAY NOT APPLY TO YOU. If we don't act to enforce a breach of this Agreement, that does not mean that Hiya has waived its right to enforce this Agreement. You may not assign or transfer this Agreement (or your membership or use of Services) to anyone without our consent. However, you agree that Hiya may assign this Agreement to its affiliates or a party that buys it without your consent. There are no third-party beneficiaries to this Agreement. Share your password (or in the case of developers, your secret key), let anyone else access your account, or do anything else that might jeopardize the security of your account. Remember that this is your community. Each and every person on Hiya makes the site what it is, so don't be afraid to dig in and get involved. There's a lot to see here, with lots of folks creating amazing stuff—one of them might be you! Equipment is getting cheaper and easier to use all the time, so dive in and enjoy. Let folks know what you think. Feedback is part of the experience, and when done with respect, it can be a great way to make friends, share stories, and make your time on Hiya richer. So, leave comments, rate content, share blogs, make your own responses to content that affect you, enter contests of interest—there's a lot going on and a lot of ways to participate. But most of all, have fun with the site! We hope you'll find something new to love as you get to know the community.